The Emmanuel School Board includes representatives from the parents, school administration, staff and clergy. 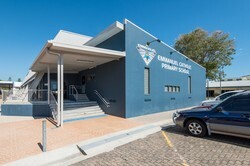 It operates on a pastoral / shared wisdom model developed across Queensland Catholic Schools and is responsible for Pastoral Planning and decision making in the areas of: Policy, Capital and Maintenance, Budgeting, Communication and Curriculum. The School Board meets on the third Tuesday every month.